This month Bronte has been obsessed with closing the plastic buckles on the Beco carrier, bike helmets, papa's bag, stroller, high chair. She can't open them yet (probably a good thing!) so as soon as she clicks them all shut, she runs over to me, yelling for me to "Ope! Ope!" If she hears a bird, it's called "bood", but if she sees one, she says "duck". Bronte has started singing, sort of. Not really able to hold a tune, but she knows some of the words to this one: "Tweeko, tweeko... daoh... how I wah... wadoo aaooh... uppah bah..."
Bronte has started dancing--stomping or rocking her torso side to side while bending her knees. It's ridiculous & adorable. I really should get a video. She's starting to eat harder fruit like apples--she usually just wants to gnaw at mine when I'm eating a whole one--but still prefers squishier ones she can eat more easily. B figured out how to put on her own gumboots & wears them in the house most days. 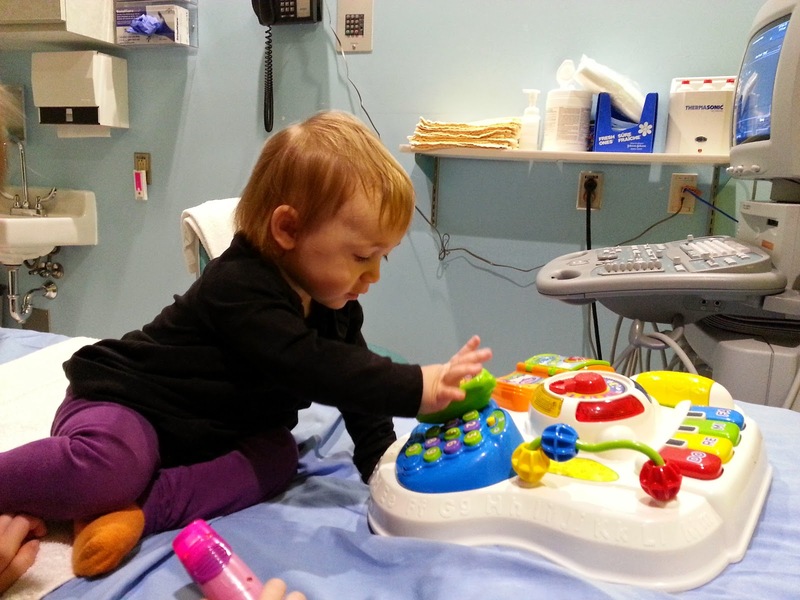 She impressed all the specialists at the BC Children's Spinal Cord Clinic with her vocabulary & fearless climbing. I think I can call it: Bronte is officially a runner. I can't take my eyes off her or she'll take off. 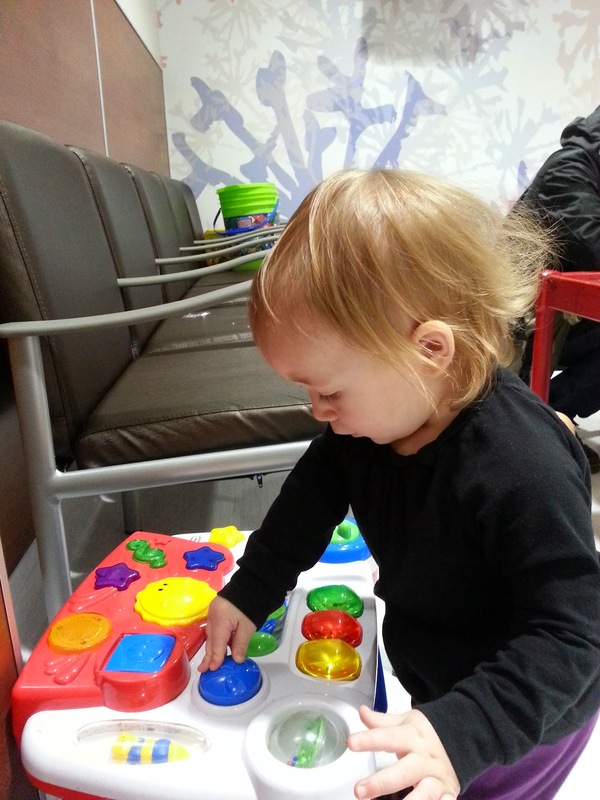 At the hospital, during our slew of appointments yesterday, she kept running off into exam rooms or out into hallways. After her latest hip X-ray, the orthopedist recommended she wear a hip brace while sleeping. Unfortunately, she's inherited my hip issues, but hopefully the brace will help her develop properly & avoid problems in future. Bronte has had a growth spurt lengthwise & is now nearly 31 inches tall, but still hovering just below 24 pounds.